Happy Friday ya’ll! I live in the south which means I get to use completely made up words, although I try to limit it as much as possible cause I’m not really *from* the south. Anyway, I’ve got the final Born Pretty Gel polish to show you all today. If you missed my first couple posts you can check them out here. I like these gel polishes and definitely want to add more to my collection. Without further ado let’s check out Sisters of Pearl. Sisters of Pearl is described as a royal blue holographic gel polish. For my swatches I used 3 thin coats of color, cured for 30 seconds each, followed by Gelish Top Coat cured for 30 seconds. This is available in a total of 12 beautiful shades; you can get all 12 or choose your favorites. 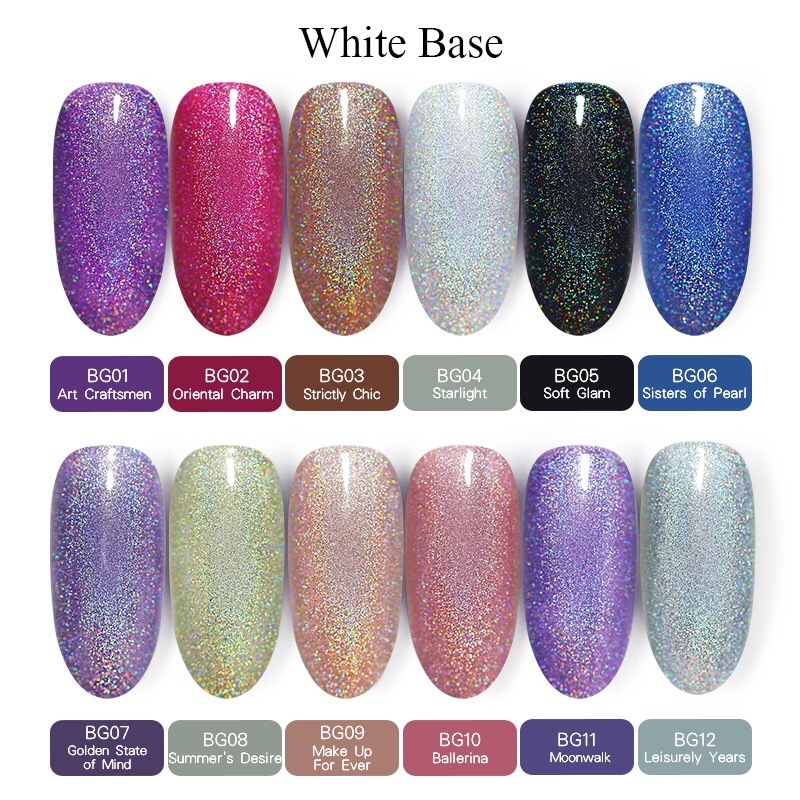 If you’re just getting into gel polish this is a great place to start, BPS has a great selection of gels affordably priced. You can also browse all UV Gel Nail Polish or check out the thousands of other nail art items. And don’t forget my code TFFQ10 for 10 percent off any regular priced items!